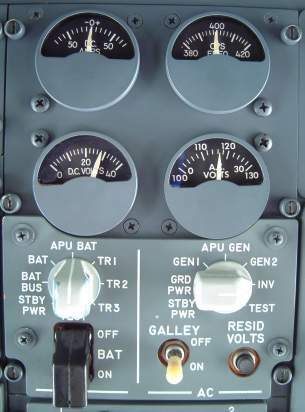 This panel is slightly non-standard because it contains the optional APU BAT position on the DC side. Most classics don't have this second battery.The Residual Volts button (not installed on the NG) may be used to test a generator that has dropped off a bus. When pressed, if a voltage is seen then the generator is still turning, therefore a generator showing zero residual volts has failed and will not reconnect. Residual volts is the only selection to use to the 30V scale on the AC voltmeter, for this reason residual volts should never be pressed when a generator is connected to a bus (will get 115V). *May be up to 33V during pulse mode charging. 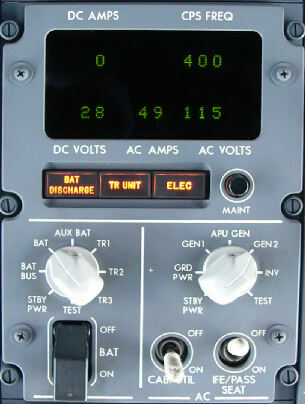 Do not leave the DC meter selector at BAT on a dead aircraft, because indicating draws some current and will eventually drain the battery. The TR's convert AC into DC. The check for TR serviceability is current, not voltage, because the TR voltage indicates that of the associated DC busses (for TR's 1 & 2). TR's should always be checked before commencing an autoland because the TR3 disconnect relay / cross bus tie relay opens at glideslope capture and this will leave DC Bus 1 unpowered if TR1 had previously failed. NG's have a TR UNIT light which illuminates if either TR1 or TR2 and TR3 fail in flight or if any TR's fail on the ground. The TR's are unregulated and output rated to 50 Amps. 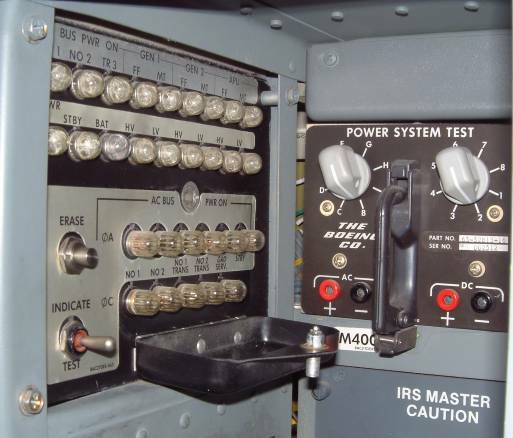 The TEST positions are used in conjunction with the Power System Test panel (1-500 see below). This test information is all contained within the metering panel on the NG. LOW OIL PRESSURE and HIGH OIL TEMP cautions are replaced by a single DRIVE caption on the NG. This will only illuminate for an IDG low oil pressure, since the IDG's will auto disconnect for a high oil temperature. They will also illuminate for an under-frequency.A higher than normal rise (ie above 20C) indicates excessive generator load or poor condition of drive. These temperature gauges were deemed to be redundant and have been removed from the NG. If aircraft is fitted with a VSCF, must operate within 45mins of a suitable aerodrome. The amber TRANSFER BUS OFF light comes on when the respective AC transfer bus does not have power.The amber BUS OFF light (classics) indicates that the respective AC generator bus is not energized. The amber SOURCE OFF light (NG's) indicates that the respective AC transfer bus is not energized by the source you last selected. The engine and APU generator OFF BUS lights illuminate when the respective generator is running and of the correct quality. 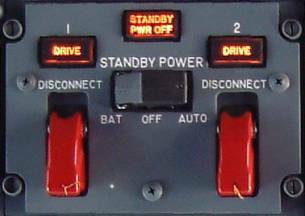 The blue GND POWER AVAILABLE light on classics only means that the GPU is physically plugged in to the aircraft and gives no indication about the quality of the power. You may not be able to connect the ground power to the busses even if the light is illuminated. ON NG's the quality is checked and the light will only illuminate when external AC power is connected and the quality is good. 1. There is no paralleling of AC power. 2. The source of AC power being connected to a generator bus takes priority and automatically disconnects the existing source. 3. A source of AC power does not enter the system automatically (when it reaches proper voltage & freq). It must be manually switched on. Main busses – Fed from the respective gen bus. Used for heavy non-essential loads eg fuel boost pumps. Transfer busses – Normally powered by respective gen bus. If these fail, will feed from other gen bus if BUS TXFR switch is in AUTO. Used for essential loads eg trim. 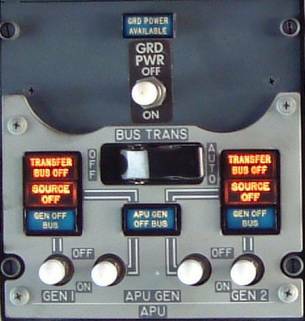 Transfer Busses - Point of connection for the power sources (engines/APU/GPU). Used for heavy, essential loads eg hydraulic pumps. Galley Busses - First in line to be load shed. DC busses – Powered by the respective transfer busses via a TRU. DC standby bus – Powered by DC bus 1 (Classics) / TRs (NGs) or battery bus (Classics) / battery (NGs). Battery bus – Normally powered by TR3, alt power is battery. Powered when the battery switch is ON or the standby power switch is BAT. Hot battery bus – Always live, used for fire extinguishing & Captains clock. Switched hot battery bus - Only powered when the battery switch is on. Are for essential AC & DC loads and are guaranteed for 30mins from the battery. SBY AC bus – Is powered from AC transfer bus 1 or the battery via an inverter. SBY DC bus – Is powered from DC bus 1 or the battery via the battery bus. Bus transfer switch - when off will completely isolate left & right sides of the electrics. Battery - Is a 36 ampere-hour, 24 volt, 20 cell, Nickel-cadmium battery and should provide 30 minutes (20 mins 1/200's) of standby power if all other generators fail. APU Battery - This is a customer option that I have only seen on Series 500 aircraft. It is primarily used for starting the APU but also works in parallel with the main battery to provide 45mins of standby power. One of its best applications is that power is retained on the Captains EFIS with the loss of all generators, similar to latest build classics. The NG also has 2 extra dedicated batteries for the engine and APU fuel shut off valves and the ISFD (150mins capacity). BAT OVHT & APU BAT OVHT lights are a customer option on classics. 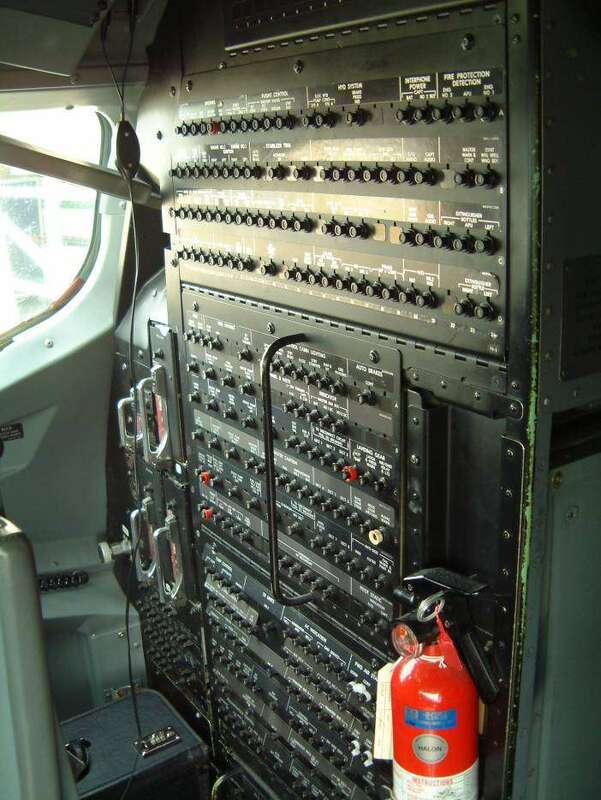 They are located on the aft overhead panel and no crew action is required if they should illuminate. Normal battery voltage range is 22-30 volts. 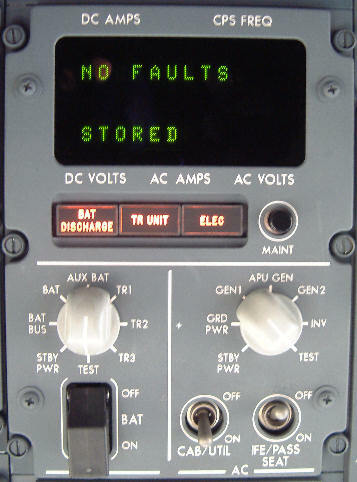 "Flight crew reset of a tripped circuit breaker is flight is not recommended. Unless specifically directed to do so in a non-normal checklist. However, a tripped circuit breaker may be reset once, after a short cooling period (approximately 2 minutes), if in the judgement of the Captain, the situation resulting from the circuit breaker trip has a significant adverse effect on safety. 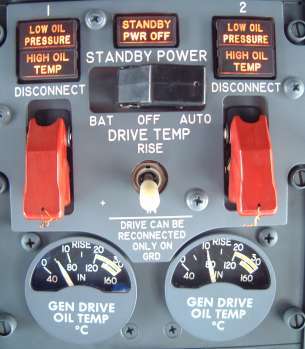 A ground reset of a tripped circuit breaker by the flight crew should only be accomplished after maintenance has determined it is safe to reset the circuit breaker. 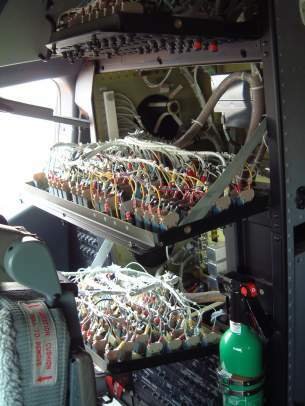 Flight crew cycling (pulling and resetting) of circuit breakers to clear non-normal conditions is not recommended." According to Boeing there is 40.6 miles of wire on the 737-300 but only 36.6 miles on the 737-700 ! 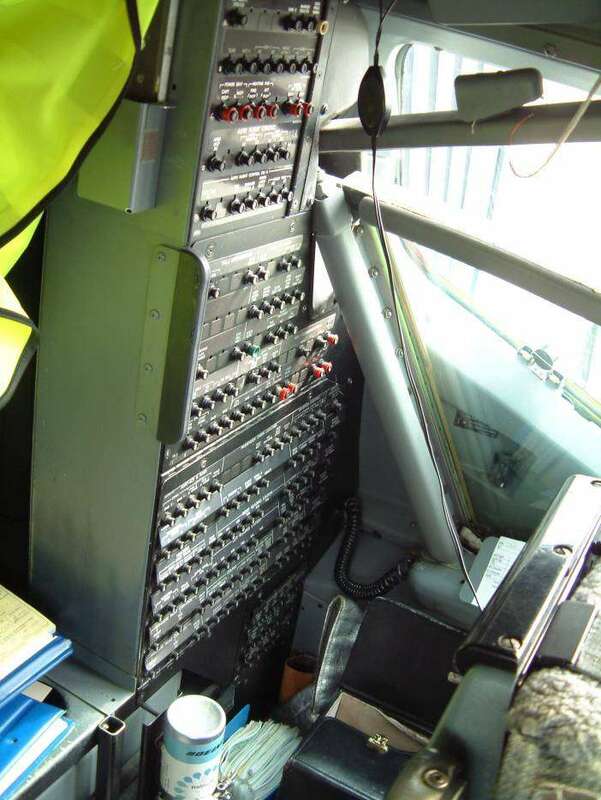 Just to prove that electrics is not the exact science that engineers would have you believe, check out this story from Suzanna Darcy, a Boeing flight test pilot for 18 years: Systems that seem fine alone can interfere with one another, she recalled testing a 737 (NG). When she switched the power on, she heard the toilet in the lavatory flush. After confirming that no one was in the lavatory, she switched the power on again. This time, all the toilets on board flushed. The reason: interference between electrical systems. Easily missed as it is tucked away on the right hand side wall as you enter the flight deck. It is used as an indication of whether or not individual AC & DC buses are powered, and provides reasons in the form of malfunction lights, why a GCR has tripped. The first 3 lights on the top 2 rows. Hold switch to INDICATE to see which DC buses are powered. These lights show which AC buses are powered and are behind the shield to avoid distracting the crew. The top row is phase A, the bottom row phase C. Phase B is checked on the AC meter panel on the overhead panel. 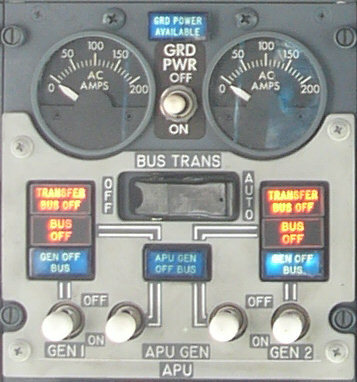 The last 6 lights on the top 2 rows will illuminate immediately when a fault occurs on either engine or APU generator. If any lights are illuminated not covered by the shield, something may be wrong, make a note of the light and report to an engineer. If the fault is on either Gen 1 or 2 and you have VSCF's fitted you can confirm the fault by the light test on the VSCF unit. A list of malfunction lights and their possible causes is given below. FF (Feeder Fault) light comes on followed by GCR, GB tripping: Defective CT.Defective GCU. Over-current condition, check lines for fault. MT (Manual Trip) light comes on: Defective circuit to manual trip. Generator switched off. HV (High Voltage) light comes on (130+/-3V): Defective Generator Control Unit (GCU). LV (Low Voltage) light comes on (100+/-3V): Defective generator.Damaged CSD shaft or spline. Note: S2 (Left switch) is normally left in position B. This connects all 3 generator ammeters to phase B and leaves the M400 selector relays relaxed. 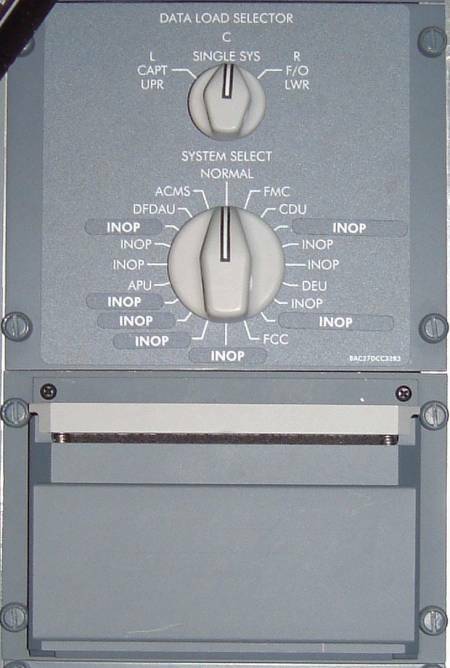 The functions of the above panel are all contained within the AC & DC Metering panel on the NG. The M400 panel space is now occupied by the Data Load Panel. The following electrical schematics are included to give the reader an overview of the basic electrical configurations of the various series of 737. Please note that although these contain slightly more information than FCOM Vol 2, they are still a great simplification of the full system (particularly in the way I have represented the standby power switch relays). Furthermore there have been many different configurations over the years for different customers, so please do not assume that your particular aircraft match any of the following.